Classic Center Channel Speaker or Contemporary iPod Dock? What do you get when you combine the warmth of antique vacuum tubes and the precision of modern transistors? You get Samsung's newest sound station. 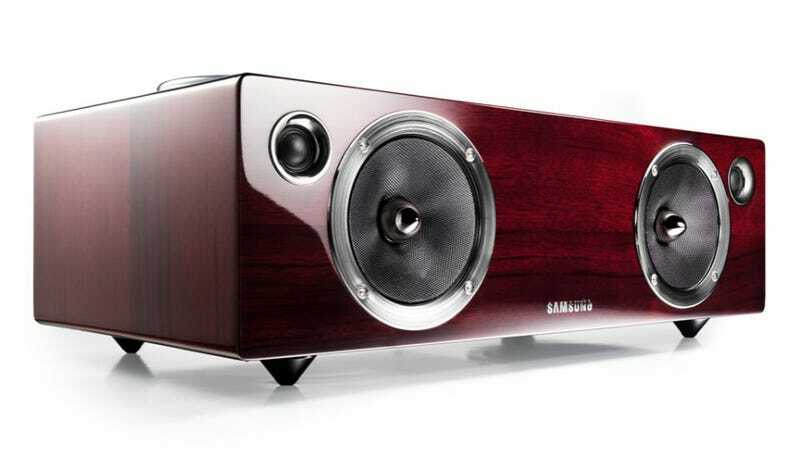 The Samsung DA-E750 employs a unique hybrid amp that includes both analog vacuum tubes to provide more natural-sounding amplification and a digital amp to reduce noise distortion. The 2.1 channel speaker set includes a 100 watt subwoofer.